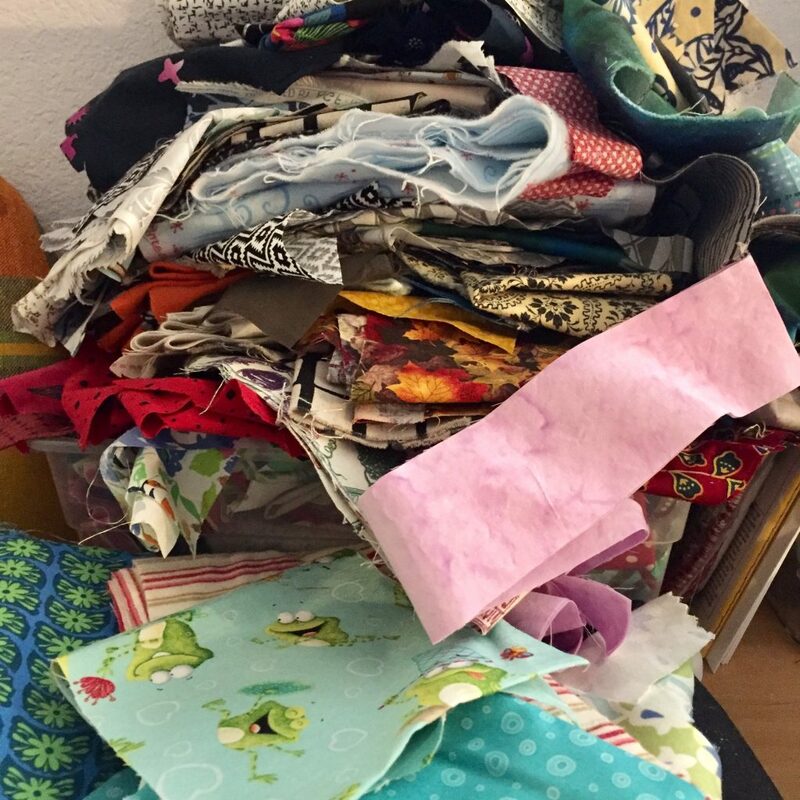 I spent yesterday afternoon playing in the sewing room. I had plenty of other things that I should have been working on. Namely, putting away the fall decorations and cleaning up so we can put up our Christmas tree this weekend. There is too much mess around here to create the mess that happens when we decorate the tree. But I just didn’t feel like it. 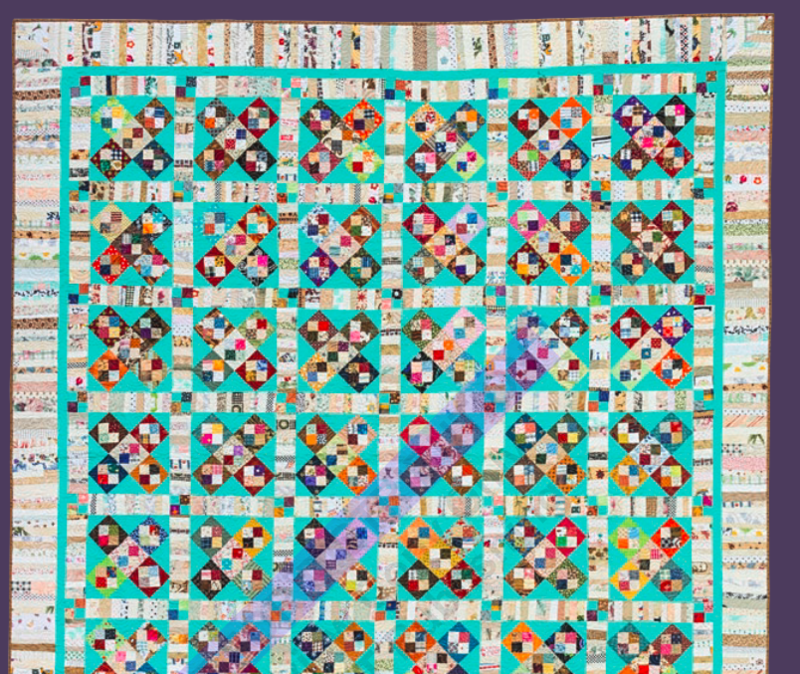 Instead, I really wanted to play with the 16 bonus HST’s that resulted from the Swoon block mini that I made a couple of weeks ago. Look what I made yesterday. 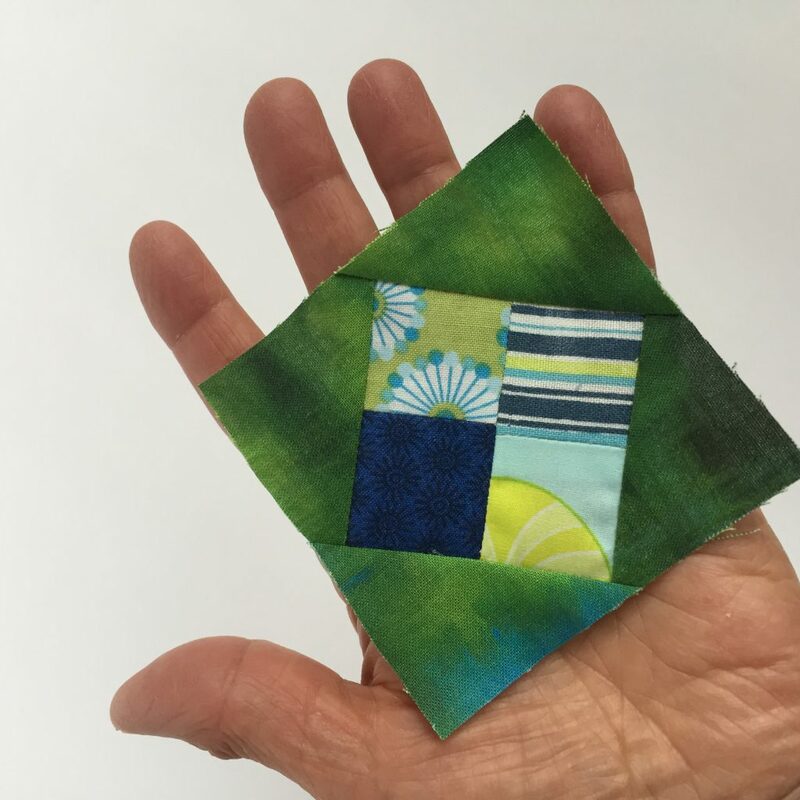 At 8 x 8″, it is a teeny tiny finish. I spent a bit of time playing with the HST’s, trying different layouts. It is a bit like playing Tangrams. There is no limit to the number of ways to position the blocks. I didn’t want to actually make anymore so I limited myself to use the 16 that I had – no more, no less. 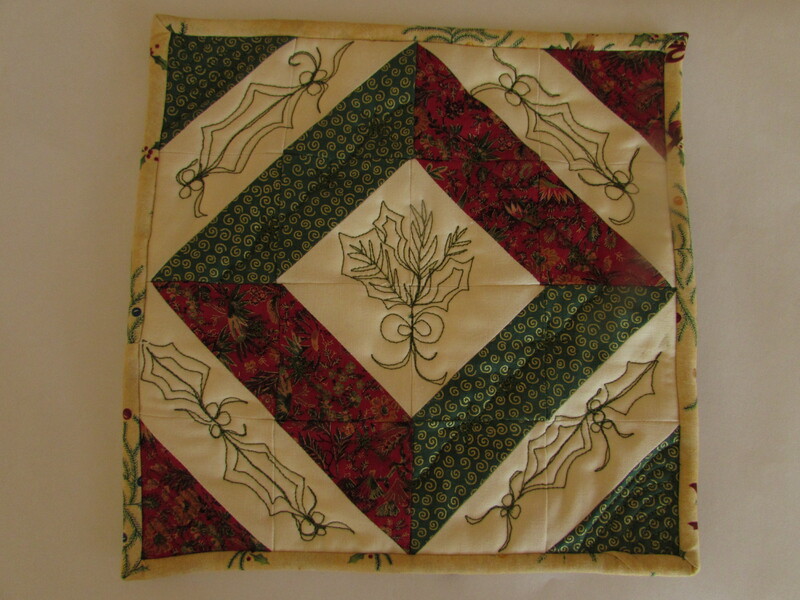 Once I had them sewn together, I decided to practice some FMQ with the little piece. 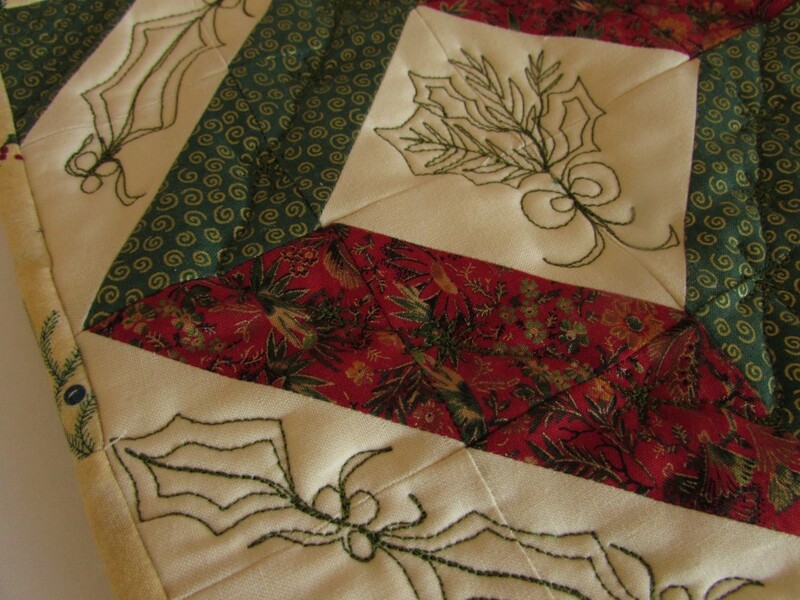 Going to my usual sources, Pinterest, Leah Day, and Lori Kennedy, I found a holly motif that I liked. 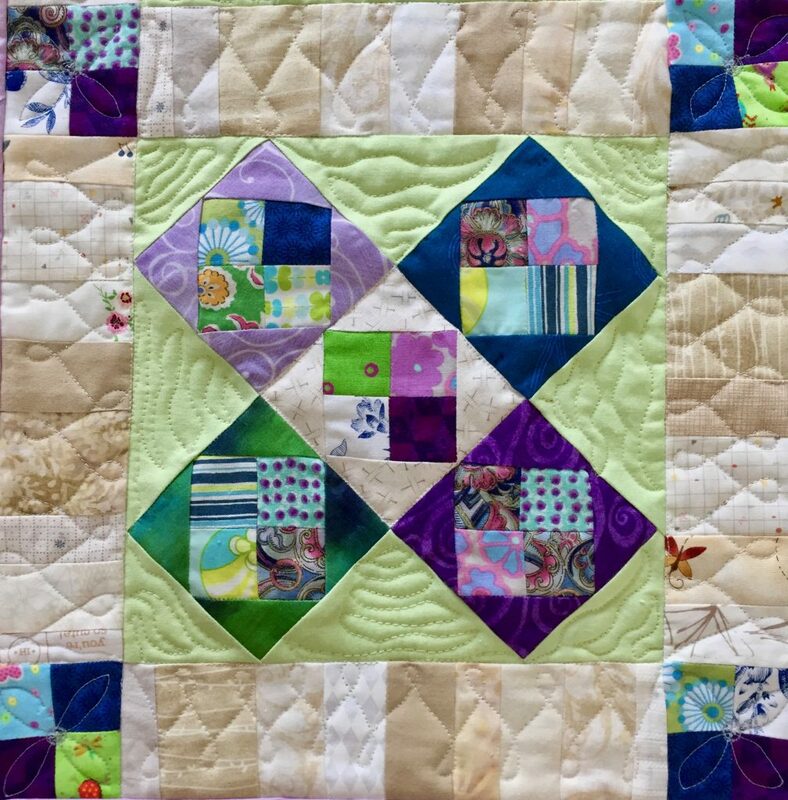 Here is the link to the tutorial on Lori’s site, The Inbox Jaunt. 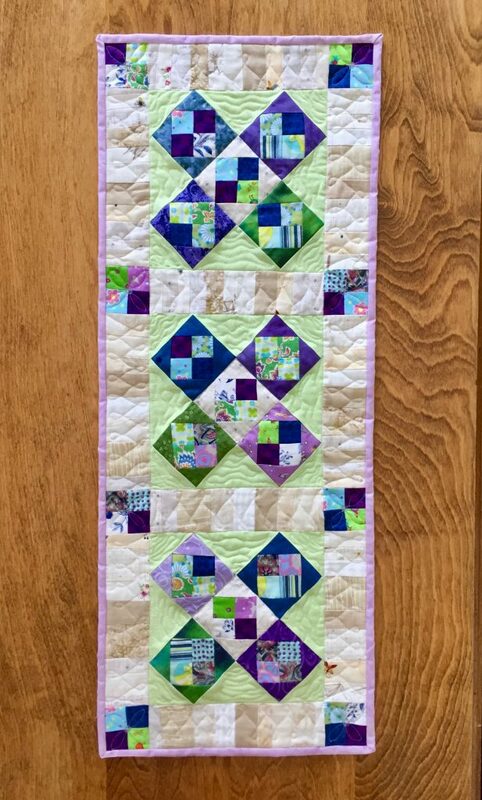 Two things made quilting this a challenge. 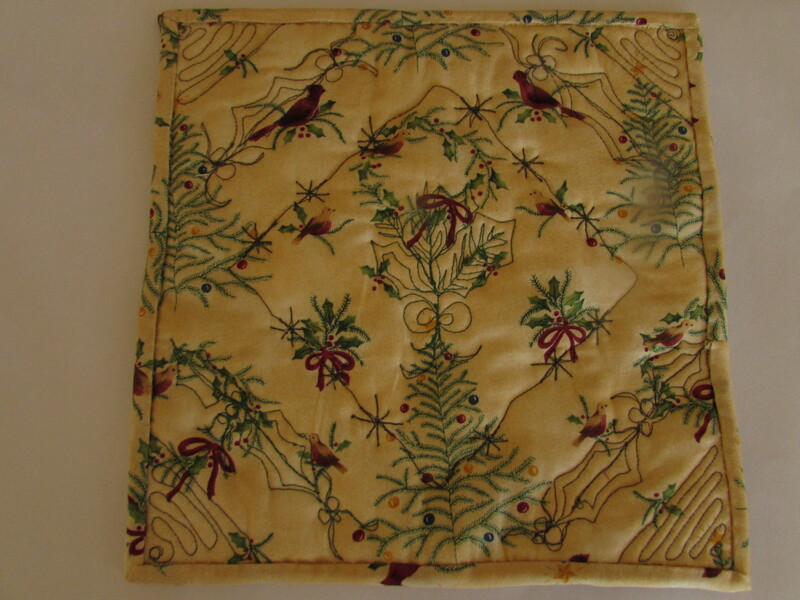 One is that I used two layers Insul Bright batting scraps inside of this in case I wanted to use it as a hot pad or a trivet on my dining room table. 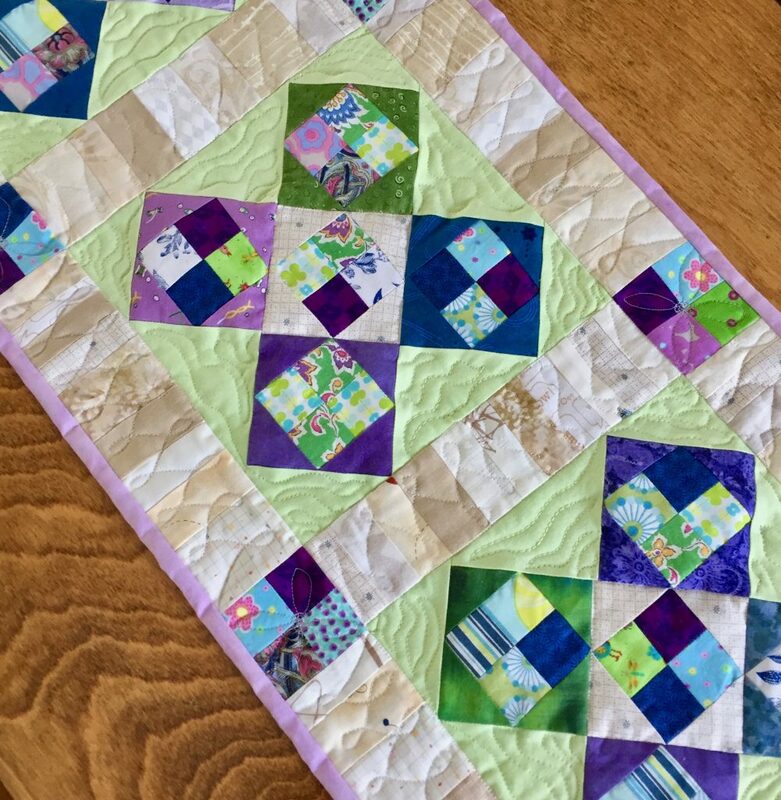 The Insul Bright was a bit annoying to quilt through, especially a double layer. Second, I decided to use Sulky thread on top and I put Mettler in the bobbin. 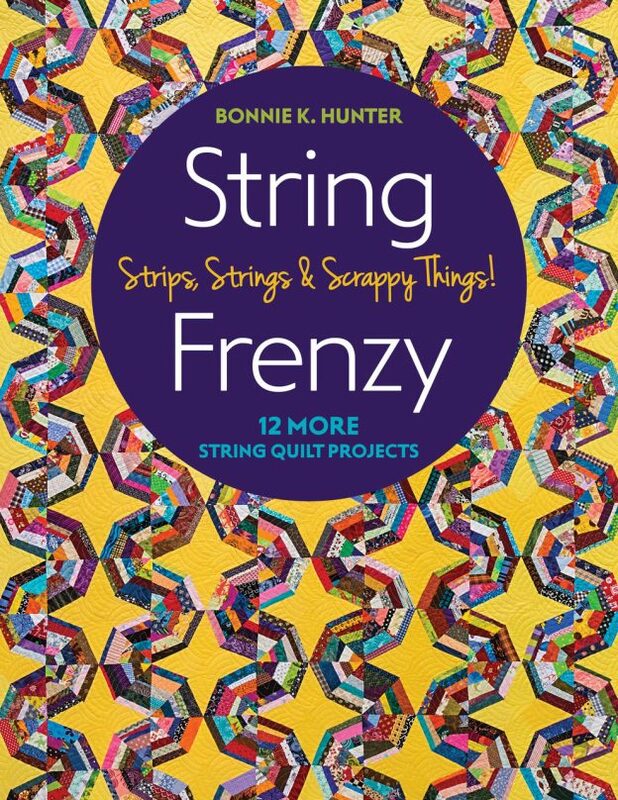 I love Sulky threads – so shiny and glossy. But also a bit slippery soI had to play with the tension to get it right. Overall, the little hot pad is pretty cute. The FMQ is a bit rough. The bow at the bottom of the holly in the center is an eyesore but obviously not enough that I was willing to take the time to rip the stitches out. (It is a hot pad after all.) 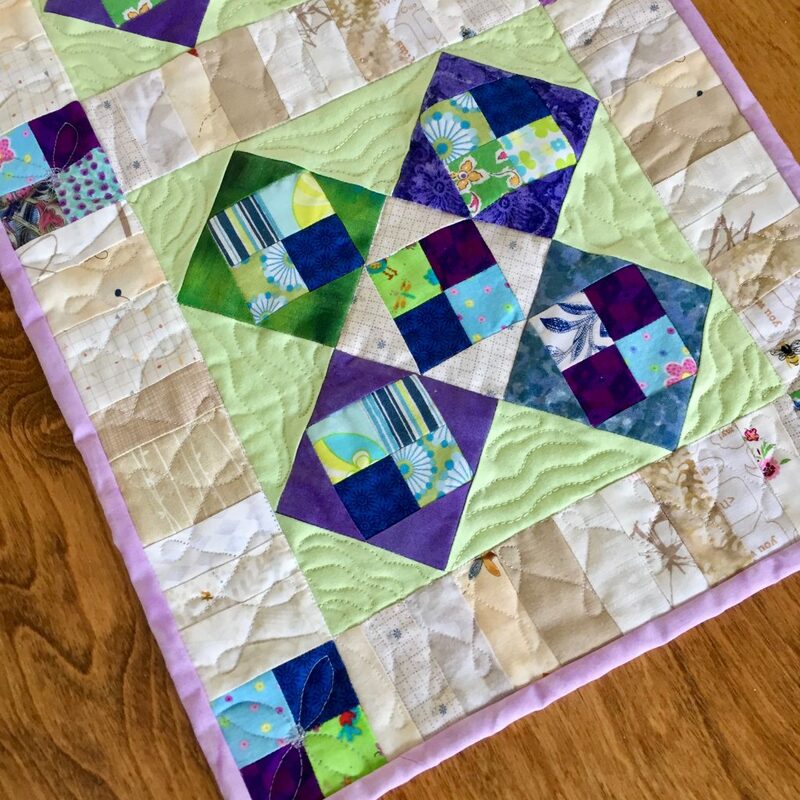 I haven’t practiced free motion quilting for a long while so it was fun to play with this. 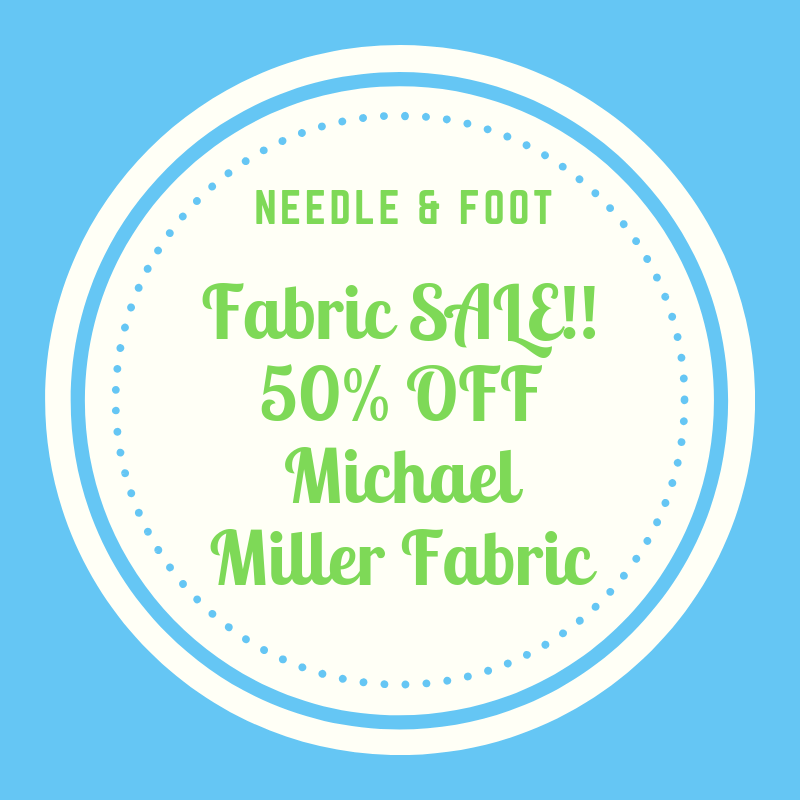 I am ever thankful to Lori’s site for the endless FMQ tutorials. I love that she has so many seasonal themes. It is very fun to play with them. Finally, I wanted to point out something that took me by surprise. I used a scrap of holiday fabric for the back. After I was done and it was trimmed and ready for binding, I was digging through my scraps and found a few more pieces of the backing fabric to use as binding. There was barely enough. 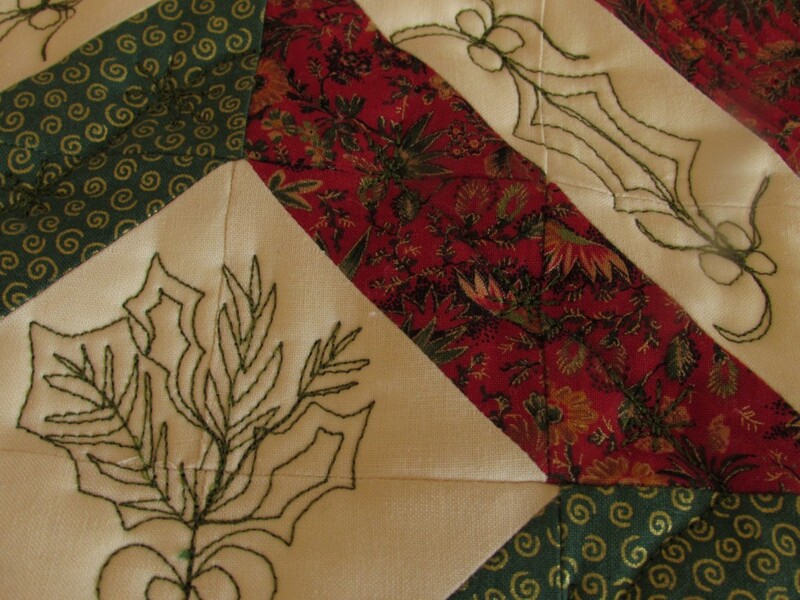 I had to cut narrow 2″ strips which were a trick to use – the quilt sandwich being extra thick from the Insul Bright. Anyway… come on Bernie and get to the point. As I stitched the binding down on the back, the folded binding matched up with the backing quite closely at one point. Isn’t that cute? 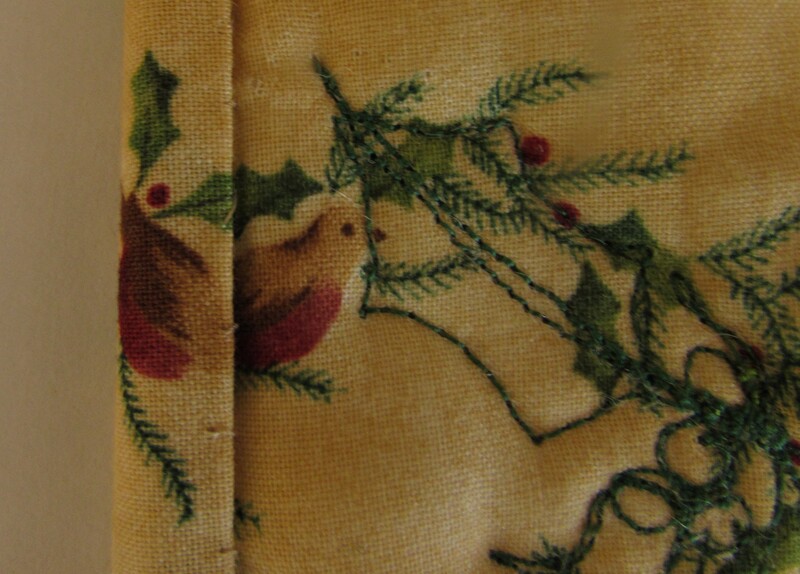 The holly just about matched up, as did the little bird. Nothing earth shattering but it is a fun coincidence. (Doesn’t take much to amuse me!) There you have it, my second finish this week! Is your tree up (if you are a Christmas-tree-decorating person)? How about lights outside on the house? I am hoping Ray will put ours up this weekend. I think the outdoor lights are one of my favorite parts of the season and I leave them up as long as possible. 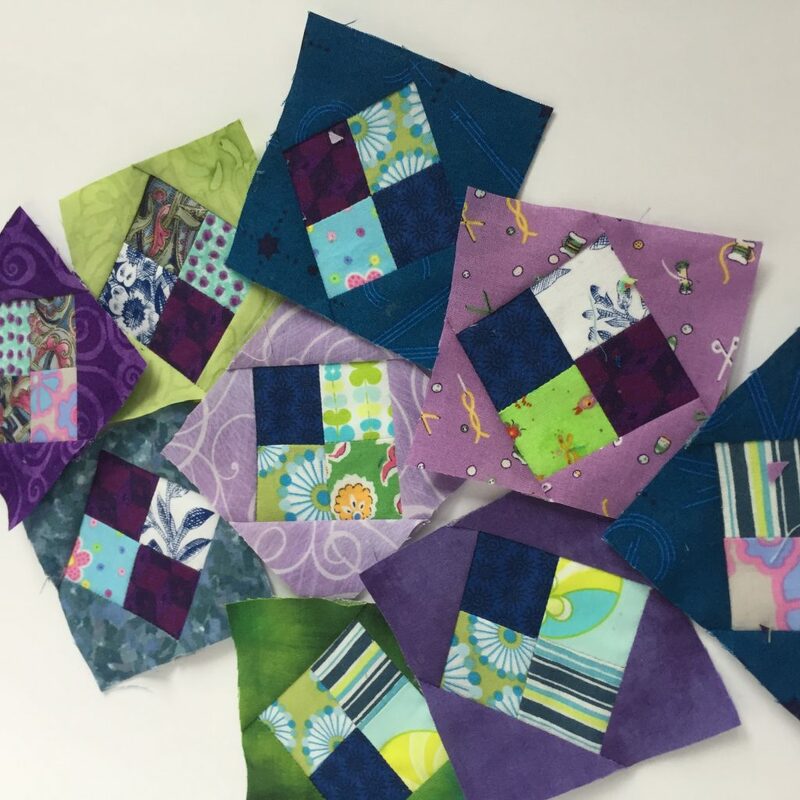 Linking to Amanda Jean at Crazy Mom Quilts and Lizzie at Free Motion Mavericks. 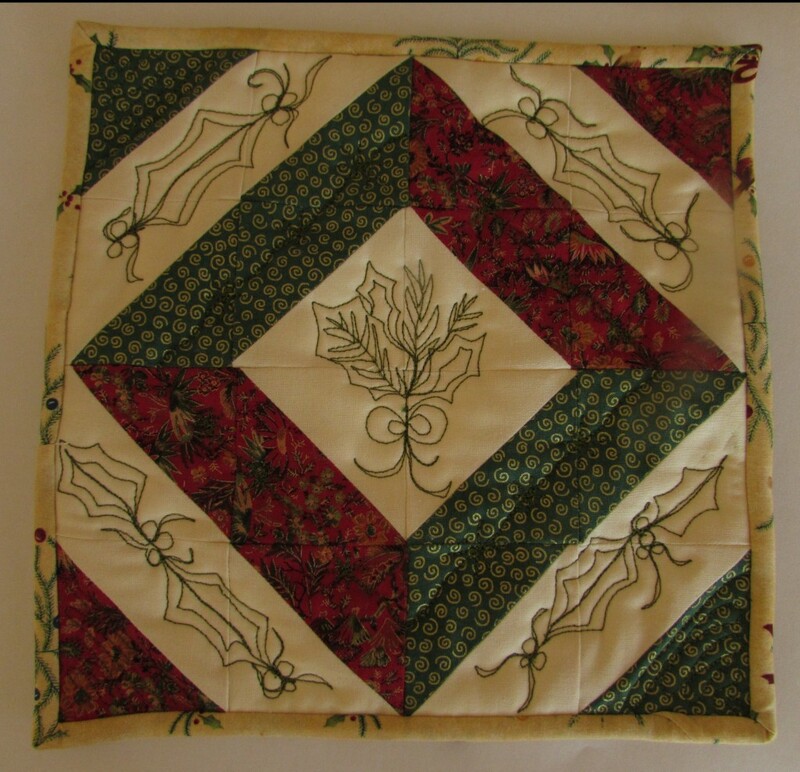 This entry was posted in Free Motion Quilting, Holiday Quilts, Scrappy Quilting, Sewing Hints and tagged bonnie hunter, flying geese, fmq holly motif, HST, the inbox jaunt on December 4, 2015 by Bernie.